London: While Imran Khan, former Pakistan cricket team skipper-turned-politician, is gearing up to lead his nation on a different pitch as a Prime Minster of Pakistan, his ex-wife Reham Khan is not missing out on any chance to hit out at her ex-husband. 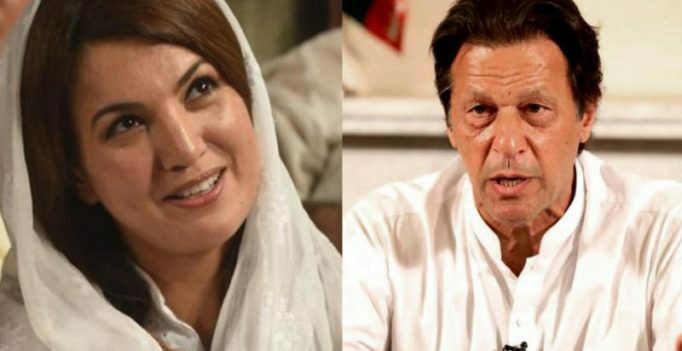 Before it was made clear that Imran – Pakistan Tehreek-e-Insaf (PTI) chief – was the favourite to become Pakistan PM, he had said that marrying Reham was his biggest mistake. “Normally I don’t say anything about Reham, but I will say this: I’ve made some mistakes in my life, but my second marriage has to be the biggest,” Imran told Daily Mail. Reham launched yet another attack on Imran on Wednesday, claiming that when the two were married, he got paranoid when she arranged for a reading of the Quran. “My adherence to a simple Deobandi no-frills-attached faith had raised enough eyebrows for Imran to raise his voice on more than one occasion. On his birthday, when I got a Quran-khatm organised (a reading of the Quran), he got paranoid that others would find out about it and photos would be released,” Reham said in her piece for The Print. She also added that strange, voodoo-style practices, were almost a weekly feature at his home. “The simple act of completing a recitation of Quran could enrage him because he would receive mysterious, disciplinary phone calls and emails. Strange, voodoo-style practices, on the other hand, were almost a weekly feature at his home — amulets with odd script and numericals spread all over, blind pirs performing prayers and blowing into the water as they muttered under their breath,” added Reham. “Such rituals are considered superstitions, and called bid’ah, which is not allowed in Islam. Practices like palmistry or future predictions (like the prediction about Imran coming to power) are against the core belief of Islam. It’s a relief that Imran says he will not live in the PM House in Islamabad, otherwise such rituals would have been commonplace there too,” concluded Reham. Reham and Imran’s marriage fell apart after 10 months in 2015 with Reham later accusing Khan of being bisexual, taking hard drugs and adultery in her recent book. “We have been calling him the prime minister select for some time now and I’ve been saying for a few weeks now that he has been waiting to be crowned. But heavy is the head that wears the crown. The crown comes at a huge price: his integrity. It has cost him all of his integrity, which is a tragic fall for a hero,” Reham, who has been critical of Imran, was quoted as saying by WION. In her recently published autobiography titled ‘Reham Khan’, had claimed that Imran fathered 5 illegitimate children, some of them Indian.